Yes, it is that time of year again - it's time for the "Great Minnesota Get-Together" to start up in a few days! We typically associate this time of year with heat and humidity, but surprisingly we haven't had a 90-degree day during the twelve-day stretch of the state fair since 2013. 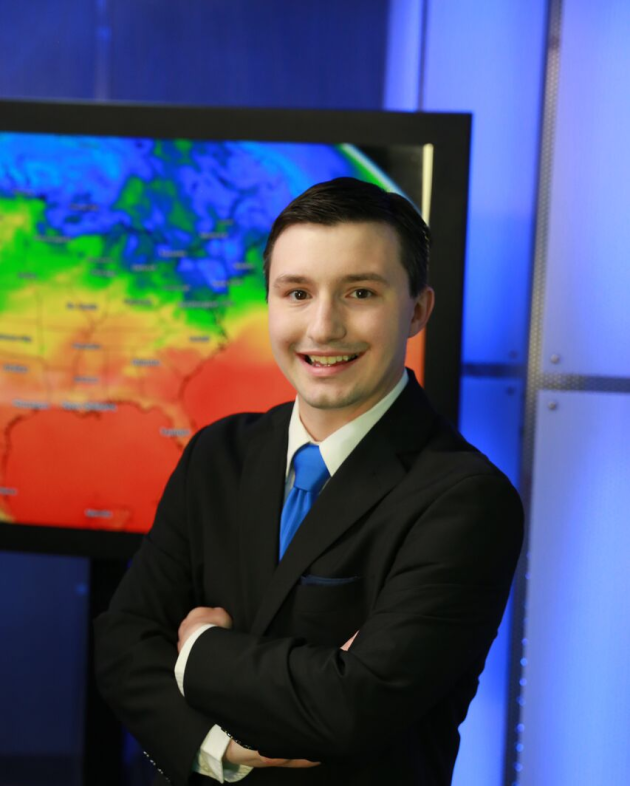 The Minnesota State Climatology Office has a write-up on some of the weather we have received in the past, including heat, rain and severe storms. An excerpt of the precipitation part is below, but if you'd like more State Fair weather facts to fascinate your friends on your annual trip to the Fair (or maybe bore them... it all depends on your friends, I guess), you can click here to read more of the Climatology Office write-up. "On average it rains about three to four days during the Fair's 12-day run. The wettest Fair was in 1977 with 9.48 inches, and the driest Fair was 2003 with only .02 inch of rain. The largest rain event in the State Fair's history was August 30, 1977. At 8:20pm heavy rains hit the State Fairgrounds. The U of M St. Paul Campus climate observatory one mile north of the Fairgrounds reported 4.06 inches of rain. This caused some of the worst street flooding seen at the Fairgrounds. The bulk of the rain fell in a 3 1/2 hour period from 8:15pm to 11:45pm. The grandstand show was cancelled, and people had great difficulty trying to leave the Fair. The Twin Cities International Airport saw 7.28 inches from this event, second all-time only to the July 1987 "Superstorm" total of 10.00 inches. People driving on I-94 leaving the Fair found water "up to their hood ornaments" in low areas under bridges." Here's a look back at the weather last year during the State Fair (observations from MSP airport). The warmest day was 85 on the last Sunday of the fair, but we did see a high of only 67 on the first Saturday. That day we also saw 1.22" of rain - one of six days where we saw measureable (0.01"+) rainfall. The first day of the fair looks excellent so far, with highs expected to be in the low 80s and mainly sunny skies. We are quickly speeding ahead toward the end of summer as the State Fair starts up this Thursday! All of a sudden I am starting to ask myself: where has the time gone? My summer to-do list is still quite long, and I can guarantee you it won’t be completed by Labor Day. According to the Minnesota State Climatology Office, the most 90-degree days we have observed during the twelve-day stretch of the State Fair was six back in 2013. That's also the last time we saw a 90+ degree high during the fair. Meanwhile, we typically see rain about three or four days on average during the fair. Last year, however, we saw a total of six days with measurable (0.01”+) rainfall. The week will start off on a wet note today as showers and storms are expected across the region. We’ll then dry out for the middle of the week with highs in the 70s and low 80s – great weather for the first day of the fair. More showers and storms move in Thursday Night and Friday before a warm-up arrives next weekend. MONDAY: Cool. Showers and storms. High 75. Low 61. Chance of precipitation 70%. Wind NE 5-10 mph. TUESDAY: Decreasing clouds. High 76. Low 58. Chance of precipitation 10%. Wind N 5-15 mph. WEDNESDAY: Bright sunshine and a touch warmer. High 80. Low 60. Chance of precipitation 0%. Wind W 5-10 mph. THURSDAY: Great Fair weather. Overnight storms. High 80. Low 64. Chance of precipitation 30%. Wind SW 5-15 mph. FRIDAY: Humidity returns. Rumbles of thunder. High 81. Low 66. Chance of precipitation 60%. Wind S 10-15 mph. SATURDAY: Mix of clouds and sun. Late day storm? High 86. Low 70. Chance of precipitation 30%. Wind S 5-10 mph. SUNDAY: AM scattered storms. Late day sun. High 89. Low 71. Chance of precipitation 30%. Wind SW 5-10 mph. 1904: Both downtown Minneapolis and St. Paul are hit by tornadoes, producing the highest official wind ever recorded in Minnesota over one minute (110 mph in St. Paul). 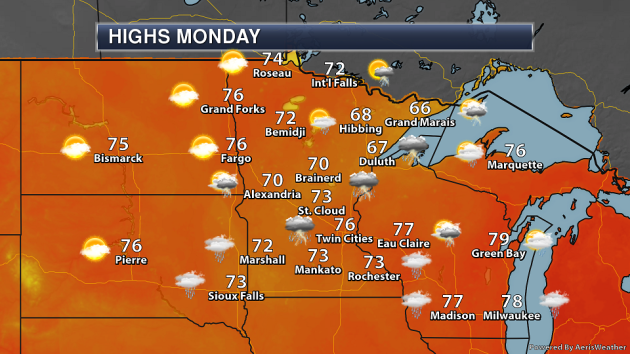 Monday will hold the potential of showers and storms across a good portion of Minnesota as low pressure passes south of the state and a weak cold front moves through. If you're looking for dry weather, that'll occur across northwestern parts of the state. Highs will be held in the 60s and 70s. 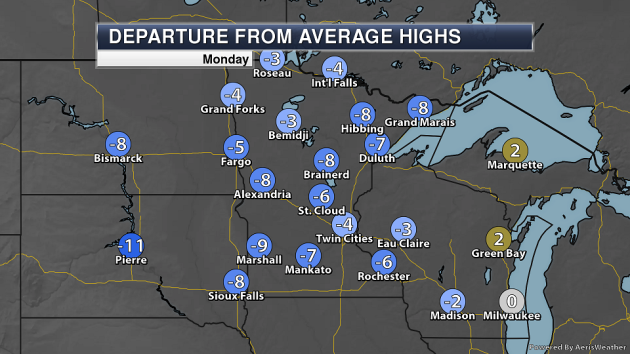 Highs will be below average across the state Monday, up to 10 degrees in spots. 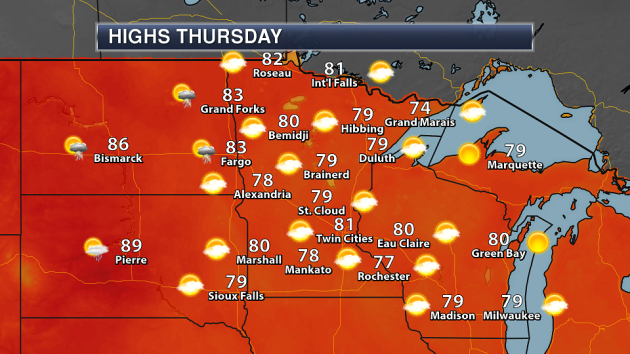 Temperatures will hold in the 70s to low 80s for the work week in the Twin Cities - certainly comfortable and within a few degress of average for this time of year. As we head toward the first weekend of the State Fair, however, it does look like heat and humidity will build back into the upper Midwest. 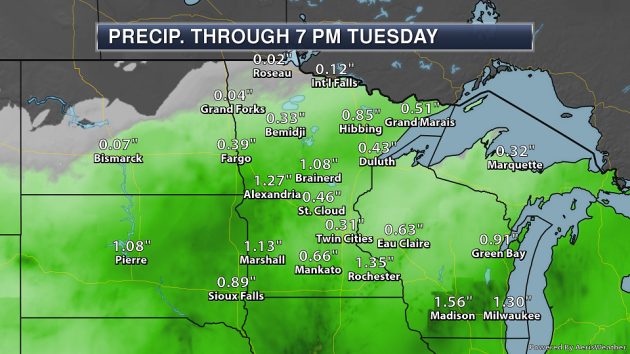 Here's a look at forecast rainfall totals from Sunday to Tuesday evening. It appears there will be two bands of heavier rain - one from west-central Minnesota to the Arrowhead, and another across southern Minnesota. In these areas, rainfall totals could top one inch. After rain across the region Monday, we will dry out for the middle of the week and the first day of the State Fair. Rain makes a return Thursday Night into Friday with a system moving through the region, and more scattered rain chances will be possible late next weekend and into the last week of August. On Monday, a center of low pressure will be moving across the central part of the nation, positioned around the Missouri/Iowa border throughout the day, with a cold front stretching south into Texas and a warm front into the Mid-Atlantic. Showers and storms - some of which could be strong - will be possible, along with hevay rain. A cold front will be moving through parts of the Great Lakes and Upper Midwest also bringing the threat of rain. 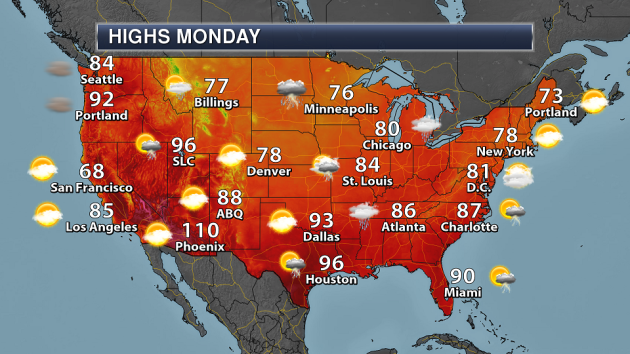 Meanwhile, an area of low pressure will move across the Northern Rockies, bringing the potential of rain, and monsoonal storms will be possible in the Southwest. The heaviest rain over the next five days will be across parts of the Plains, where 1-3"+ of rain could fall through Monday as a system moves through the region. Some heavier rain amounts will also be possible through the beginning of the week across parts of eastern North Carolina.